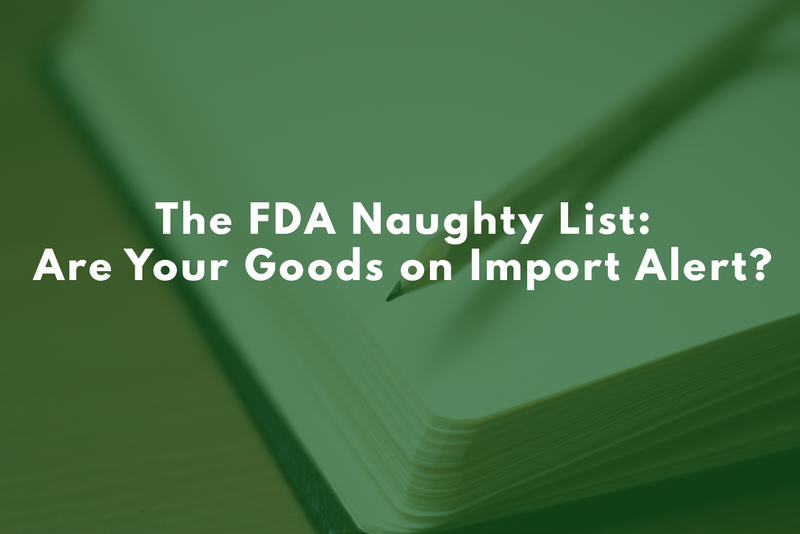 The FDA Naughty List: Are Your Goods on Import Alert? 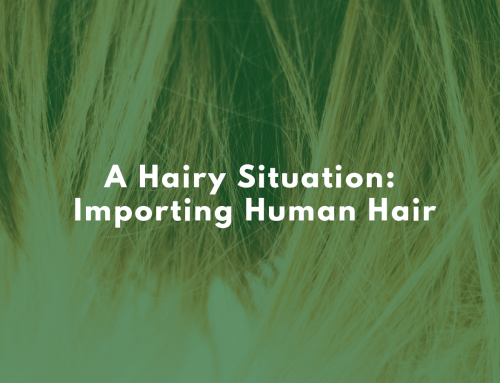 It’s not uncommon for importers to have items be detained for physical examination by US customs agents. While undoubtedly frustrating, at least one can take comfort in knowing their goods are still en route and there is conceivably a light at the end of the tunnel. But what about knowing that some of the goods you’re used to ordering — ones potentially significant to your business — could be automatically refused entry to the United States because they’ve suddenly been blacklisted? Anyone who’s seen items of theirs suddenly show up on the Food and Drug Administration’s (FDA) Import Alert list certainly knows the feeling. 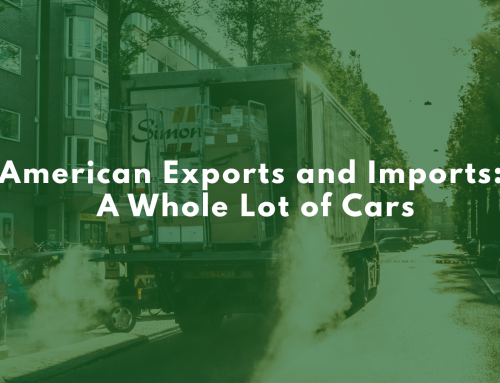 There are measures you can take have to the importation status of certain goods restored — but the first step is knowing how the Import Alert system works. First of all, What is an Import Alert? 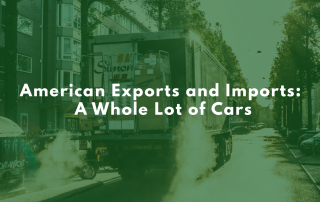 Import Alerts are public notifications of products, manufacturers, and shippers that, for one reason or another, are deemed to be in violation of FDA regulations. For products specifically, these can apply to items from specific regions, or as a blanket warning on certain goods worldwide. Once the agency has collected enough evidence to make a case against an item or company in question, either one can become subject to Detention Without Physical Examination (DWPE), meaning it or its product will be turned away at the border before inspection would take place. Import Alerts, as one might assume, serve to prevent potentially hazardous products from entering or being sold in the US. 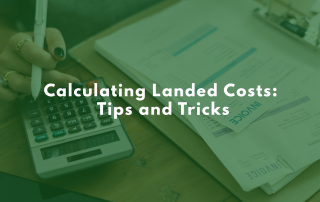 However, according to the FDA, it also allows them more time to focus on examining other shipments and give more uniform coverage from coast to coast. In addition, Import Alerts are made public not simply to notify Americans, but to help put the responsibility on the importer to ensure the goods they import comply with federal regulations, and to keep field agents informed on what they should be looking for at all times. What are the Green, Red, and Yellow Lists? Each colour coded Import Alert list indicates the level of scrutiny with which the FDA monitors products, manufacturers and shippers on the Import Alert list. 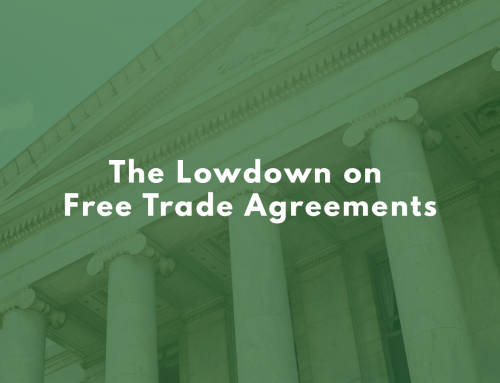 Because as customs brokers we want you to be prepared and, thus, presented you with the worst-case scenario, most of what we described in the last section would apply to the red list. Anything or anyone on it is affected by DWPE to the full extent possible. 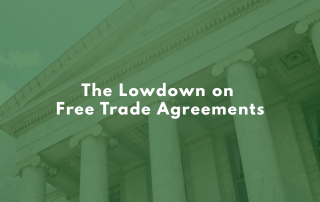 However, there are two lower levels where, as an importer, you might have a bit more wiggle room in your efforts to obtain certain disputed goods: the yellow and green lists. Yellow list items, are ones that, for all intents and purposes, are in flux. They’re not considered a sure bet to be fully red- or green-listed just yet, but are subject to “intensified surveillance” and will continue to be until the FDA gathers more evidence to rule one way or another. For example, medical products that require extensive FDA testing often spend a lot time in the yellow. Green list items, meanwhile, are not subject to DWPE; they’ve met certain criteria for the FDA to grant them an exemption. Companies abroad are required to petition the FDA to have their goods approved and can be granted exceptional status — for example, if there’s an Asia-wide ban on raw shrimp, but a company in Japan successfully proves that the violation doesn’t apply to its products, it could get green-listed. What Happens if My Goods are Flagged? Don’t despair, because there is some hope for red-listers: while the FDA is in possession of the blacklisted item, there is a period of 90 days in which to provide evidence to overturn its refusal for entry, after which you case can no longer be challenged. Typically, this is done by submitting a private lab report to prove that the item you’ve had imported does not pose a credible threat, contrary to the evidence used by the FDA to put up an Import Alert in the first place. Submitting a lab report doesn’t necessarily guarantee you’ll have your stock anytime soon, as it’s still in the hands of the FDA to decide whether you’ve sufficiently argued your case — but it’s your only bet to overcome the appearance of a violation. How Do I Get Goods Removed From the List? There are actually two possible solutions here: petitioning to get an item struck from the red list entirely, as well as getting a red-listed item exempted and moved to the green list. If one of your items suddenly made a list and you need to figure out an alternate solution, or you found out the hard way that one of your imports got red-listed, talk to one of our customs brokers today and we’ll help you!